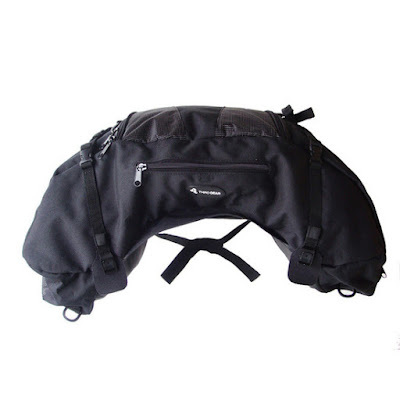 I bought this budget luggage system from Third Gear to try out as I can't afford the Giant Loop one I want just yet. After reading some reviews I figured I'd pay the $74 and see how it goes. As I couldn't find any photos or vids of people using it for camping I thought I'd share my set up and show you what I managed to stuff in it. Plus, missing from the photo is a headlamp, phone charger, GoPro, Water purifier, spare tyre tubes and a few other odds n ends. 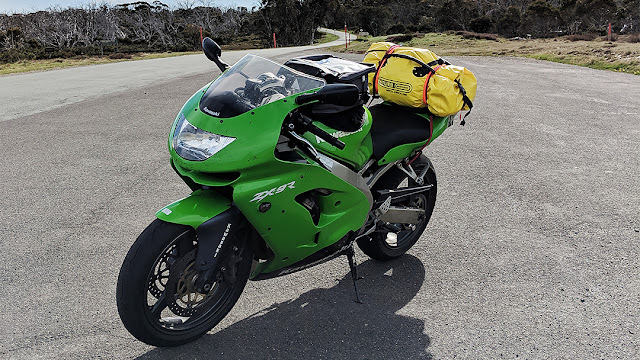 As you can see the only thing I couldn't get in was my tent and tent pole, so they will probably go on the back of the bike or in a backpack. Every three months I try to organise an overnighter with mates to a country pub where we can stay the night and put a few $$ into the bar and enjoys ourselves. The Triple 8 Ride was one of my favourites as it had everything a good ride should have Great WeatherTwisty RoadsYour best matesCold beerA bed at the end of itThe destination was Logan where there's a pub that sits in the middle of nowhere with little mobile reception and I was told a horse which frequents the bar. That was something I wanted to see for myself, so Logan it was, the pub in the scrub. 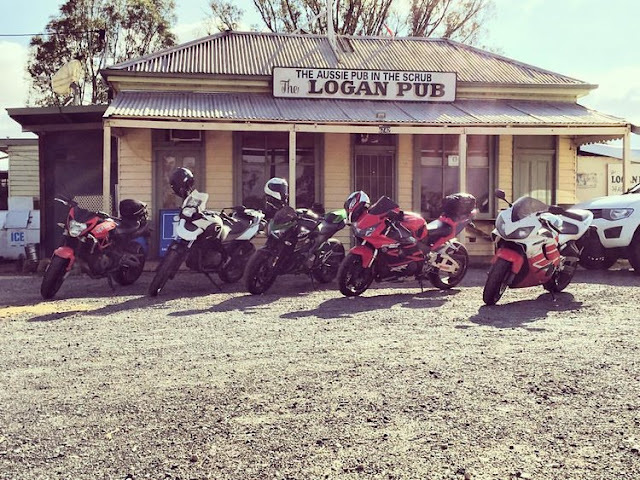 Logan isn't that far out of Melbourne if you take the freeway, given I was on my CBR954 at the time with a fresh set of rubbers that just wasn't going to happen.